Big brewers cry a river; small brewers buck the tide. In the late 1990s, the Wall Street Journal famously 'reported' that the US 'micro-brewery' movement was a fad —comparing it to the interest in cigars— that would quickly shrink to a small niche of aficionados. 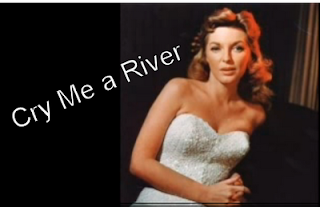 They've done it again, in a Julie London "Cry Me A River"-like report on the current woes of the beer business in the US. Often tendentious when corporate America is involved, the WSJ last week bemoaned that beer sales had slipped 2.2% in 2009. The Murdoch-owned outlet neglected to mention that beer sales by US small breweries had actually shown a robust rate of growth. In the face of an overall economic slowdown, US small breweries (often imprecisely referred to as craft breweries) increased their sales by dollars by 9% in 2009. This is according to trade publication Beer Marketer's Insights (BMI), as reported by the St. Louis Dispatch (in Anheuser-Busch's hometown, no less).These figures show US small breweries holding their growth at the same rate as it was mid-year, as reported then by the Brewers Association (BA) a trade group for small US brewers. Anecdotally at least, brewpubs may have suffered less growth or a decline in sales, as did restaurants nationwide as disposable incomes shriveled from 2008 into 2009. Very small breweries may have suffered disproportionally as well. For a more complete picture, we'll have to wait for the figures from the BA to be released. What a small brewery is is a measure of whose pencil is writing the definition. 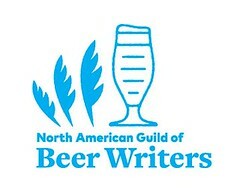 Based upon upper production levels (and tax rates), brewery practices, and contract brewing, the Brewers Association's view differs from BMI's and that of other journals and groups, Because of that, the BA itself is about to lose a powerful member, with all of its influence and its dues. The BA defines small brewery as one producing less than two million barrels per year (a barrel is the equivalent of 13.7 cases of beer). Boston Beer Company, maker of Samuel Adams beers, is approaching that mark. In fact, it actually booked 2.025 million barrels in 2009, but some of that included so-called malternatives, which the BA does not count toward the total. I recently attended the Virginia re-release party for Tuppers' Hop Pocket Ale, a 'craft' beer of local renown. In northern Virginia, it is distributed by the wholesaler Guiffré, whose principal beer brands are those of Anheuser-Busch In Bev. When owner Mike Guiffré introduced Hop Pocket, and its founders Bob and Ellie Tupper, to the gathered crowd, he may have inadvertently referred to all of this. "Tuppers' is fun," he said. "We haven't had much fun lately." The link to the Wall Street Journal story actually takes you to the Brookston Beer Bulletin, at which there is a lengthy analysis of the piece. 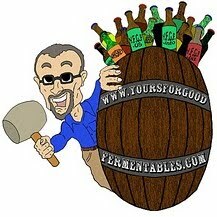 More on the small brewery/Brewers Association conundrum from Beer Scribe.